Big Elvis performs all the hits of the King of Rock & Roll, as well as some other popular tunes in the genres of Rock, Country, Gospel, R & B, and Pop spanning 6 decades of music. 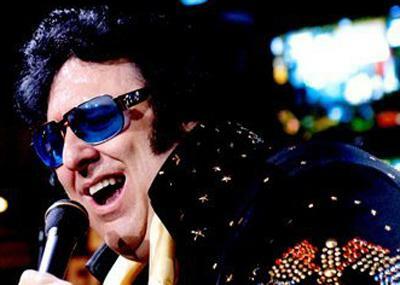 Big Elvis interacts with his audience, invites them to participate in his show and performs their requests, often including not just popular, but also obscure songs. During his renditions of Elvis ballads Big Elvis shows his warm heart and bares his soul to the extent that there is not a dry eye in the room. Is Big Elvis Suitable for Children? How Long is the Big Elvis? What Are the Show Times for Big Elvis? How much are Big Elvis show tickets?